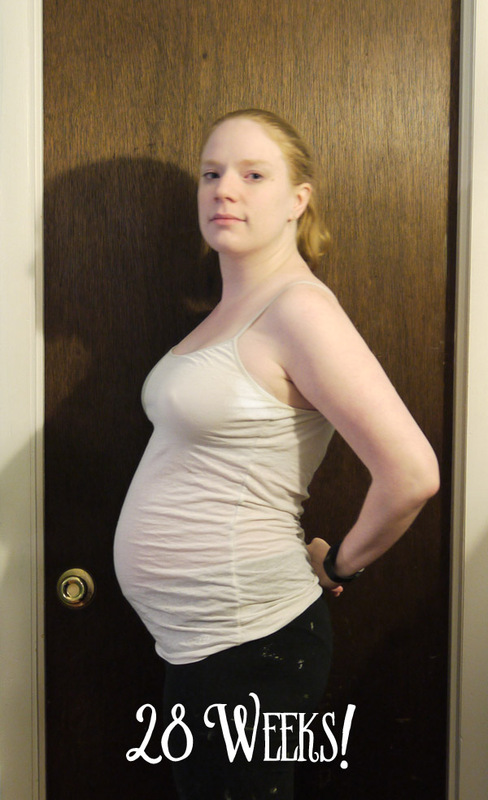 I gotta say, I'm not really enjoying the third trimester very much. Everything hurts, I can't sleep, I have heartburn, I gained more than 2.5 lbs in one week... Seriously, go back and look at the difference between this week's photo and last week's. I'll wait. That is a HUGE difference! What the heck is going on in there?! 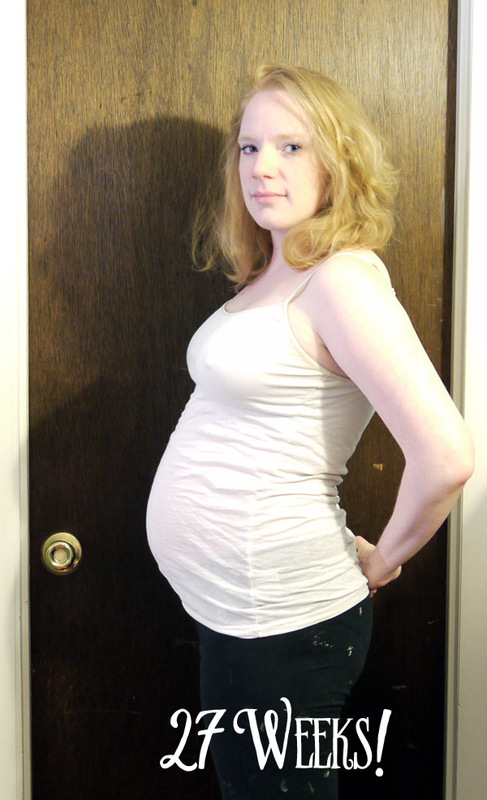 I did some googling and it looks like a lot of people experience a growth spurt between 28 and 29 weeks pregnant, but I'm still alarmed. I'll be asking my doctor about this for sure at my next appointment, which is on Thursday. I'm sure they are quite sick of all my questions. Okay, so I've been majorly freaking out about the state of this house and all the things I need to get done before this baby arrives. I touched on this in my last post. So today I thought it would be helpful to sit down and just list out all the things that need to get done. It was helpful in that it is much easier than trying to remember things while we're at Lowes. It is terrifying in that it is a very BIG list. Everyone is constantly telling me "oh, it will be fine, it'll get done," but I'm not buying it. These things will not just "get done" by themselves. So now we've got a list and we're planning the attack. I figure I'll type the list out here and then blog about them (if I remember to take before/after photos). If you know me personally and see something on the list you'd like to help us achieve - by all means, don't be shy! So yeah, like I said, it's an extensive list. I've been told that not all of these things are necessary for a baby, and I know that. But if we haven't done them yet, what do you think the odds are that we'll do them after we also have to be taking care of a baby? Not very good. So I'd like to just get everything done before then and just be able to relax in my nice clean organized house that looks like real adults live in it. Last week I did something unusual. Something I haven't done in years - I bought a new book. Usually I only buy books that I have already read and know I love. Books are expensive and I hate the thought of wasting money on something that I might not end up liking and could just as easily have borrowed from the library. But this book was different. A week or so ago, I started seeing some post about the KonMari method of tidying pop up on Pinterest. 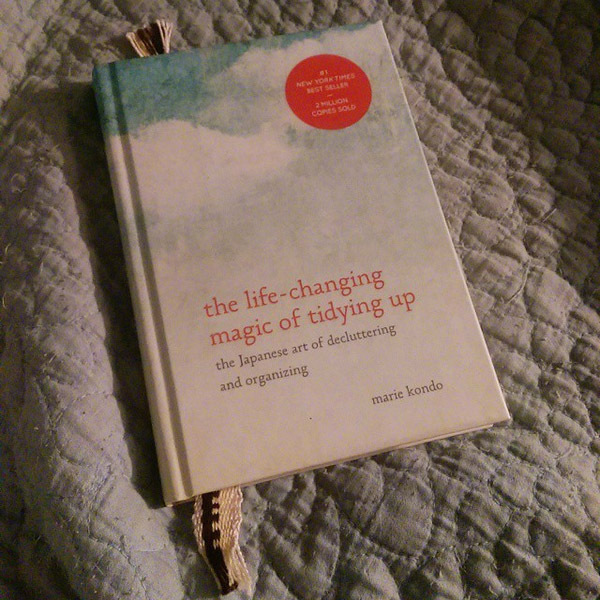 After a few clicks, I learned that it all came from a book called The Life-Changing Magic of Tidying Up . Being in the thick of a full-on "where on Earth are we going to put this baby" panic, I was instantly intrigued. If you have ever been to my house, you'll know that one thing it desperately needs is a good tidying up. It is, to put it kindly, a horrible mess in here. I am one husband away from an episode of Hoarders. Trust me - I am not exaggerating. If I lived alone, I'm pretty sure this place would have devolved into a series of tunnels between storage crates with a clear space for a bed. I have, for my entire life, had a really hard time getting rid of stuff. But for the last year or so, I've been growing very sick of it. I am sick of being embarrassed when people come over. I am sick of coming home and feeling just as stressed out by my own mess as I am by the outside world. I am sick of not having a house that looks nice, a house that looks like real adult people live in it. But there is just so much stuff that every time I've sat down to try and deal with it, I just get overwhelmed and walk away. Now, of course, I have a much more pressing reason to deal with this mess. In just three short months, there will be another person living here. Before that happens, I need to move my office into Chris's office, which we will now be sharing, to make room for the nursery. And before I can move my office, I need to seriously cut down on the junk contained within said office. But it's more than just that. I don't even want my child to feel as stressed out by being at home as Chris and I feel right now. He/she did not ask to be born, and we do not want to burden him/her with the mess we've created. So it's really important to me to have this all gone by the time our child arrives. And that's where September's book comes in. As I mentioned, I first saw bits and pieces of the KonMari system popping up on Pinterest - and what I saw REALLY spoke to me. The first thing I saw that I really liked was her method of choosing what to keep. You're supposed to take each and every item in your hands and ask yourself "does this spark joy?" I don't know why, but when I read this it just instantly resonated with me. It really makes the decision easy (in theory). If the answer is yes, keep it. If the answer is no, throw it out/donate it/sell it. Boom. Done. Another thing I saw in the excerpts on Pinterest was to thank your items for their service as you get rid of them. A lot of the clutter in my house is there because I feel bad for stuff. My mind knows that these are inanimate objects, but I really just can't get over these feelings of guilt. Perhaps I watched a little too much Brave Little Toaster as a child? But regardless of why I feel this way, this book addressed these feelings - and that's something I hadn't seen before. So based on these two points (and the testimony of what seems like half the internet) I ran to Barnes & Noble and picked up a copy. I was not disappointed. This book is a wonderful mix of good, firm advice and wishy-washy hoo-ha. Now, if you know me, you'll know I love wishy-washy hoo-ha. So that's not a criticism by any stretch. This book actually tells me to greet my house each day. And that at their core, all of my possessions really just want to help me. If you are rolling your eyes, that's fine, it doesn't mean you shouldn't read this book - just don't pay attention to those bits. There's still tons of helpful information about how to tidy up your space and minimize your belongings. You'll notice that these are categories of items rather than rooms of the house. There is a reason for this. Say, for example, I chose to do my bedroom first. I get all of my clothes out and decide what to keep and what to discard. Great. I put everything back in a nice, organized system. Then I get to my office and realize that there is a whole closet full of clothes that weren't accounted for in the new organizational system. Oh, and look, there are some more clothes in the living room. And more in the basement! Now everything is out of order already. Or here's another example. Let's say I start in my office. I am motivated and ready to clean. I start going through my drawers and suddenly I encounter a box of photos. Instead of setting them aside and continuing on, I take them out and look at them and become nostalgic. Suddenly three hours have passed and I have done nothing except look at photos and become emotionally exhausted. This is another one of the things about this book that really spoke to me. Apparently the categories are organized from least emotional to most emotional, so that by the time you get to photos and keepsakes you are used to the process of letting go and are less likely to keep things that don't really spark joy. I am not sure I agree, as I think books are going to be extremely difficult, but we shall see. I got started on my clothes already and so far I have two trash bags full of clothes to be donated. And that's mostly just from my dresser! I went through my closet as well, and while I did get rid of a lot of stuff, I still am not sure I'm "there" yet. Marie Kondo says that when you have discarded enough, it will just click, and I don't think I've felt that. So I plan to go back through again before I tackle the giant pile of clothes in the basement. Then, and only then, will I reorganize how everything is stored in my dresser and closet. I gotta say, I was actually really excited to get rid of my clothes. It felt like such a relief to look at some of my shirts and think "I wear this, but only when nothing else is clean" or "this shirt is six years old and full of holes/stains" and just toss them. At first I was a little concerned about thinning out my wardrobe when I can't actually try any of it on, but I think it's actually very helpful. It means I can't try on a shirt I hate and think "oh, but this does fit, it'd be a waste to throw it out." I have to go entirely on how the shirt makes me feel. So yeah, I am hoping to come back with follow-up posts as I finish each of the categories, but we'll see how that actually goes. This is pretty exhausting already, and I'm not even all the way through step one. If you want to give it a try, I strongly suggest picking up a copy of book and checking it out. Also, Juju Sprinkles has some adorable checklists for the categories, so you might want to check those out as well. This week we finally got down into the double digits on the "days til baby" countdown. 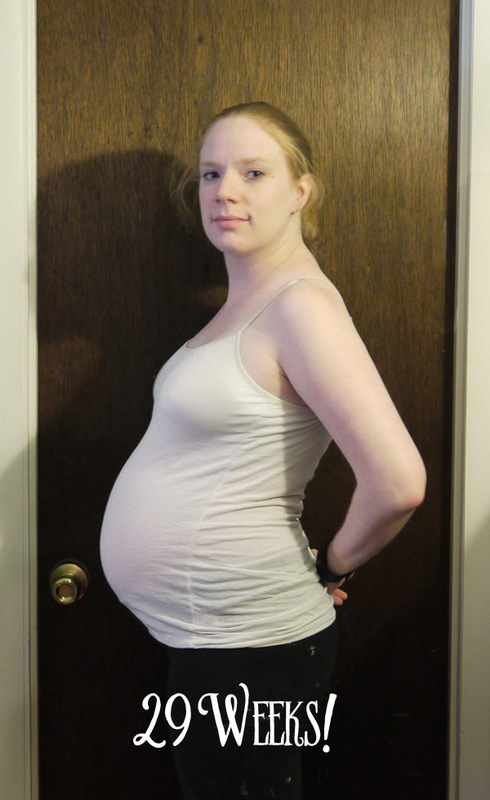 If you go my my predicted due date (December 8), we have 92 days left to go. If you believe the doctors (December 2), it is 85 days. Either way, it's not very long at all. I remember when I was excited to hit 200 days, that seems like a million years ago. I'm super excited that time seems to be flying by, but I'm also terrified. 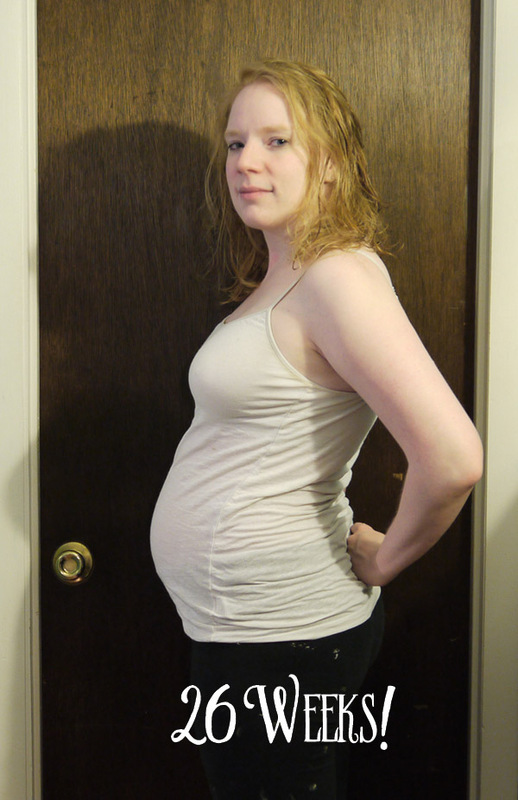 Not of having a baby, but of the house not being ready when the baby arrives. But we're working hard on it, so expect to see some updates on the Hateful Hovel blog.